Does meditation exist outside of religious tradition? 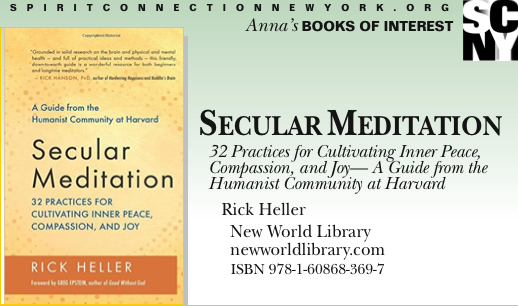 Rick Heller and the Humanist Community at Harvard believe that it does. They are working hard to not only provide a place for people who are religion-adverse to come together to share meditation practice, but they are also reconciling traditional meditation teachings with cutting-edge scientific research. Heller has been a facilitator for that work at Harvard for five years. What is now known as mindfulness practice has been extracted from Buddhism, leaving behind the magical components and lifestyle limitations, so that participants can experience the benefits of the practice without the dogma of any organized religion. Heller points out that one of the problems of that distillation is that attention training is stripped of its ethical moorings. His solution is to focus on training people in both attention and loving-kindness is equal proportions, allowing for inner guidance to replace the external constraints of organized spiritual philosophies. He makes a powerful case for his conclusions as he turns a skeptical eye to both Buddhist teachings and scientific research, positioning readers to come to their own conclusions.